Apparently during this read-a-thon there are daily challenges and giveaways. I haven’t really taken full advantage of either of these yet. I also haven’t made much progress with The Once and Future King. However, I do enjoy following the other participants, and I am enjoying the book, so that’s good. I’m just so darn distracted. The chapters in this book aren’t long, nor is the language hard. The pace is fine, the characters are interesting, the humor is humorous, and I really do like it. I just can’t get through it. Plus, I keep wanting to write instead. I’m getting tired of Merlin constantly transforming the Wart into an animal. That’s going to end soon, right? I mean, the sword has to be pulled from the stone at some point, right? Kay and Sir Ector are far nicer in the book than in the Disney cartoon. Now I just want to listen to Owl City’s “To the Sky.” Not that that is a bad thing. 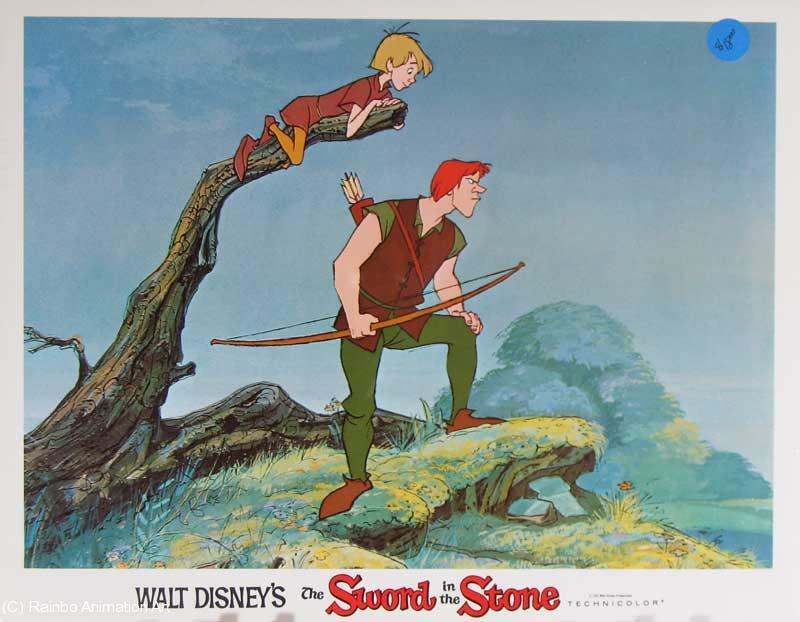 What the heck are Robin Hood, his merry men, and Marian doing in this story? I like the fact that among Marian’s list of accomplishments, the narrator is careful to include that she can turn cartwheels. What the heck is going on with Morgan le Fay? “Have a little nap, I expect,” said the owl coldly, turning his back upon his master, because he, as well as the Wart, enjoyed to see life. This entry was posted in Geek Moment and tagged Fantasy Read-A-Thon, Owl City, The Once and Future King, The Sword in the Stone. Bookmark the permalink. ← Did You Know There Was A Fantasy Read-A-Thon?!?!? !